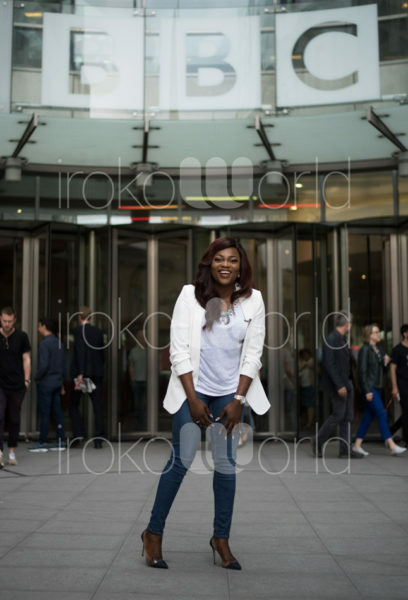 Nollywood actress Funke Akindele, who is in London to celebrate Jenifa’s Diary’s huge global success, rocked up at the BBC yesterday, to talk about Nollywood, Jenifa’s Diary and her role as iROKO World’s Global Ambassador. All in advance of her big night at Greenwich Odeon London on Friday night – some tickets for the screening and Q&A are still available. 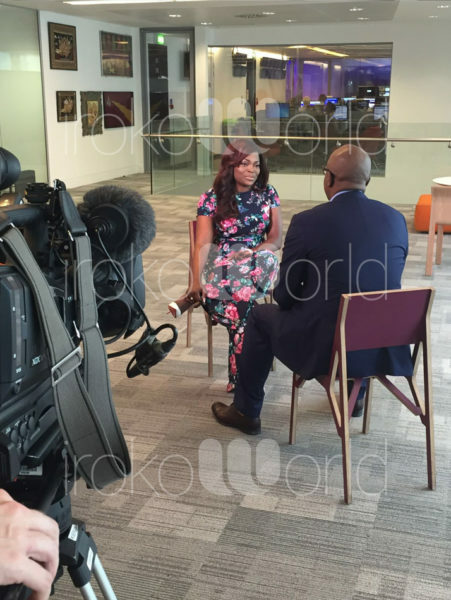 The actress, popularly known as ‘Jenifa’ looked stunning in a floral jumpsuit as she spoke to BBC Africa Focus’ presenter Peter Okwoche. 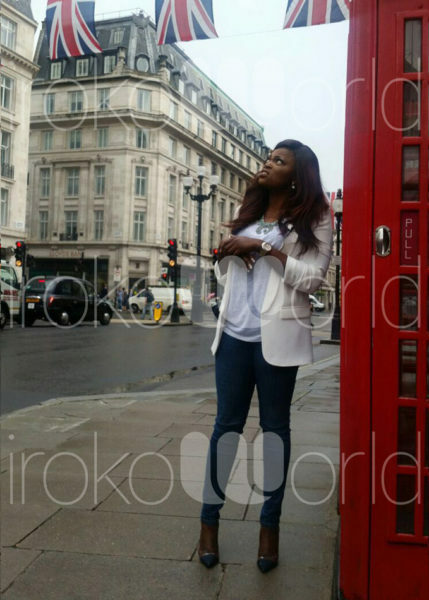 Funke then went out and about in London, snapping some pics in the city’s biggest landmarks. 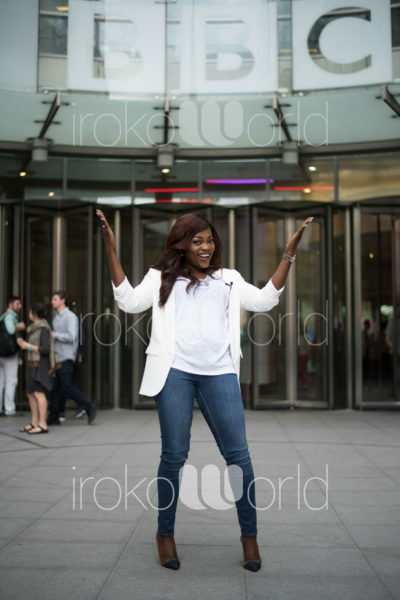 Hosted by UK-based mobile operator Lebara and iROKO World, episodes 1 and 2 of Season 4 of Jenifa’s Diary will be screened on Friday 10 June, 2016 at 9pm at Odeon IMAX Cinema Greenwich, Bugsby Way, London SE10 0QJ.